I have finally read/listened to Six of Crows and I am so thrilled that I did. I enjoyed it so much I immediately listened to it again before writing this review. There are two reasons why I did that but I’ll get into that later. Just know that if you like well-written books that have been plotted impeccably well and are full of rich characters, this book is for you. Forget the whole young adult tag on this baby. That just tells you the age of the characters but believe me, these aren’t your average teenagers. These are some of the fiercest opponents around. 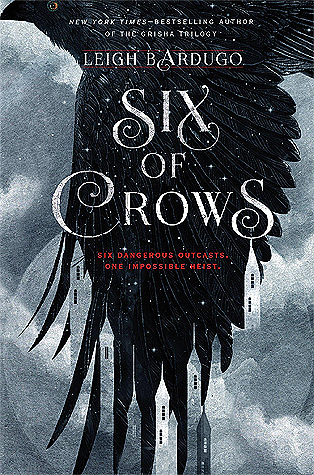 An author must have a lot of commitment to the world they create to pull off a story like Six of Crows. There are so many small details that comprise this story and make it truly special. 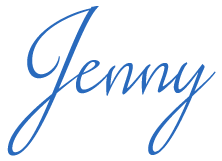 The reader gets to know the main characters very well; almost all of them have chapters told from their perspective, providing the reader insight that would otherwise be missed. Multiple perspectives can be annoying if done improperly but Bardugo uses it in all the right ways and the reader benefits greatly. I could go on for a long time about this story and how much I enjoyed being in that world but I want to focus more on the audiobook. I originally started listening to this but had to switch to print to get a grasp of the characters and world. I ended up preferring print the first time around because there is so much to take in and some discrepancies with the audiobook and my visual-learning mind kept me from getting fully immersed in the story. The second time through I did all audio and it was great. I admit that I was initially shocked and dubious when I first saw how many narrators are on this recording. There are seven (although one is only the last 8 minutes or so). SEVEN!!! If I had picked up a less popular audiobook with seven narrators I would have been likely to put it right back on the shelf. There are issues that tend to come up on the production end that put me off when there are multiple narrators and this book was not an exception. Each narrator is talented in his or her own right and a couple are fantastic (I couldn’t tell you who because I don’t know who narrated each character). My biggest issues lie with inconsistencies from narrator to narrator. I don’t hold the individual narrators accountable but I do hold the producer/editor/anyone on the production end of the process accountable. Authors typically provide an audio or phonetic breakdown of tricky pronunciations but perhaps that wasn’t the case here. Either way, someone should have made sure that the Six of Crows-world terms and names were consistently pronounced regardless of the narrator. Someone should have also been making sure that if a character is described as having a raspy voice, they are portrayed as having a raspy voice throughout. These inconsistencies can be a huge distractor and pull the listener out of the story, which is a real shame. If I had to break down the audio rating I would give the narrators 4.5 stars but the production end 3 stars. That’s a big disconnect and unfortunately not uncommon. Six of Crows was my first book from Leigh Bardugo but will not be my last. I’m diving into the follow-up, Crooked Kingdom, as soon as I post this review because I’m dying to continue the journey with this band of sly hooligans. You can bet I’ll also be tackling Bardugo’s Grisha series soon. The two series tie into each other but stand independently.